Obsidian is a naturally created glass. It is formed form volcanic lava which cooled too quickly for significant crystallization to occur. It is colored by the presence of titanium, iron or manganese. 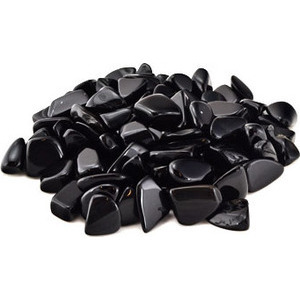 Obsidian is a very powerful stone that reminds us that birth and death are one with the other. This is a stone that has always been associated with guardian spirits that watch over us, and is connected to protection on all levels.